Happy weekend, loves! How are you spending your weekend? I started my week by seeing a movie with my boyfriend and my sister. I’ve been persuading my boyfriend for over a week now to see Bride for Rent. Yup, that movie with Kim Chiu and Xian Lim in it. I heard it has grossed Php100M in just four days! It’s a really great feel-good movie. I love Kim Chiu’s quirkiness in the movie: demure na jologs. I like her better in such roles, much like her role in Bakit Di Ka Crush ng Crush Mo. I find her really funny and super effective. Plus, I love the outfits she wore in the movie and in her previous telenova. Lakas maka-demure. In the auditions scenes in the movie, she wore this mejo grunge attire: muscle tee, denim cut-offs, Doc Marten’s boots, and a brown knapsack, where she stores her paninda for her raket. When I use a bag, I want it to contain all my belongings, too. (Nice transition, huh? LOL) To be honest, I don’t really buy bags on a regular basis. The last time I bought a bag for myself was last year during my trip in Hong Kong, where I bought a Santa Roberta tote, which was on sale, so I was able to afford it. I always borrow bags from my mom and my sister, Bianca. But this Christmas, my sister gave me a Charles and Keith bag! Yeah, I’m not a bag person, but I’m thankful she did. 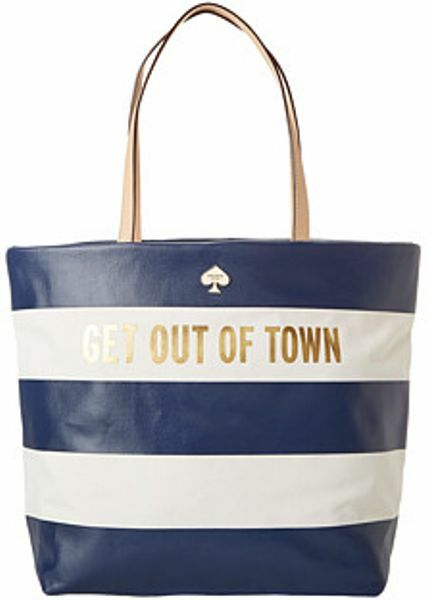 This bag reminds me of a Kate Spade tote I saw a few weeks back. A Kate Spade dupe, my bag is. Hihi. I have a thing for tote bags because they’re able to pack a lot of things inside. So, here are the contents of my trusty bag. Basically, my bag contains my iPad and my phone, my bag organizer, and my kikay kit! I super love my bag organizer, which is a gift from my boyfriend’s sister. I tend to dump everything inside my bag, so this bag organizer helps me organize my things inside my bag and save space. Definitely heaven-sent! Another important thing I carry in my bag is my makeup kit. I make sure that I have the basics: powder, eyeliner, mascara, lipsticks, lip tint, and cologne. I prefer baby cologne over perfume because they’re light and pleasant. I don’t have a wallet, just a coin purse. I do own a wallet, though, which is a gift from my boyfriend a few years back. I find it too bulky, so I just carry a coin purse and my card wallet (which stores all my cards) with me all the time. I always bring my powerbank (11200 mAh) with me since I use my phone a lot. I washified it using Hello Kitty washi tapes from Paper Blush. Why this post all of a sudden? I came across this promo from Suy Bags, a local brand. I hope this qualifies as an entry! Visit Suy Bags on Facebook, Twitter, and Instagram! How about you? What’s in your bag? Love your bag! It's as gorgeous as Kate Spade's. I've never used a bag organizer. I think I'll try. Hi, Jasmine! Thanks ;) Do try using a bag organizer and let me know how it goes. I’m always using bag organizers and I just love them! They keep my things intact.